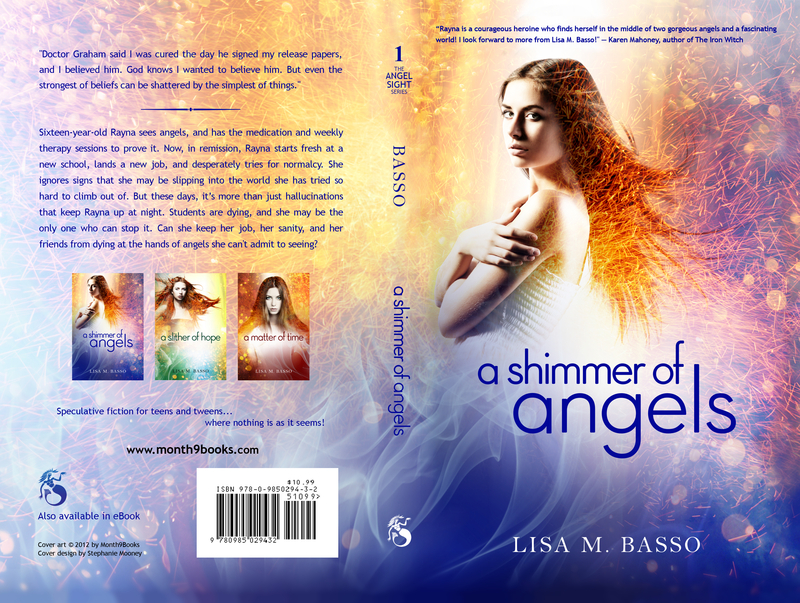 Book cover I designed for A Shimmer of Angels by Lisa M. Basso, published by Month9Books. 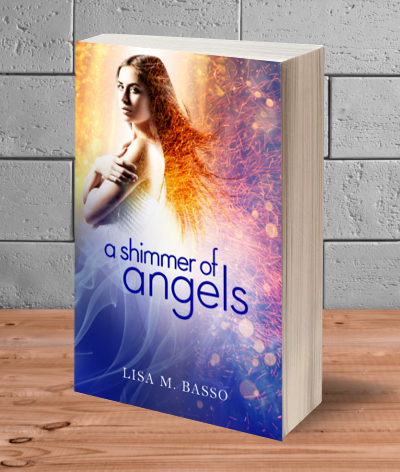 It’s a Young Adult Paranormal/fantasy about a girl who is locked away in a sanitarium for seeing angels. This book was the debut release for Month9books, and they were looking for something that would stand out. 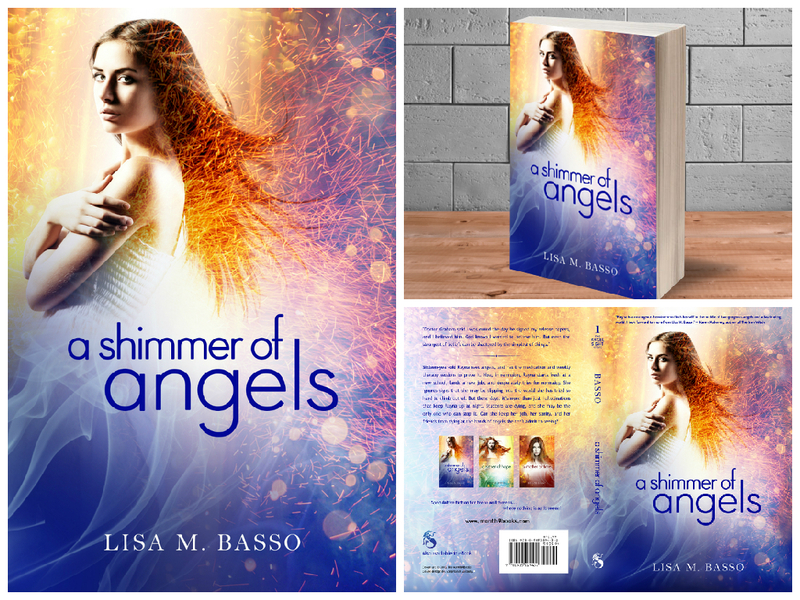 They wanted something that didn’t fit the typical angel story, and they wanted bright colors.